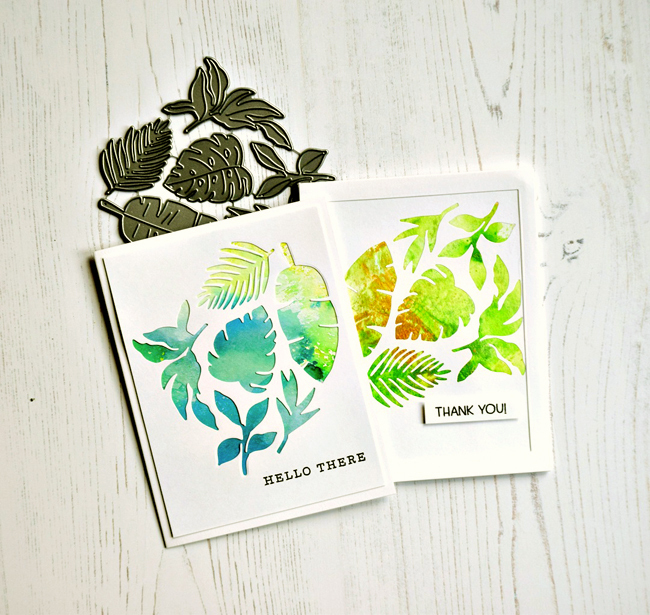 Here's two fun cards using the entire set of Waffle Flower's Greenery dies. Die cut white cardstock and adhered (using spray adhesive) over watercolored panels. I have a lot of those panels lying around and this is a great way to use them. MOOD WHEN DONE = I'm good. Hope you are too! great idea! I have some some watercolor playing that I've not found a use for -- you've inspired me. great idea Joan and the cards turned out so pretty! Darn straight it's a great way to use them! Very pretty fresh and cool colors. Just got home from vacation... catching up on emails. This is a GREAT idea and gives me permission to keep playing with watercolor and now I have a way to turn those fun experiments into a card. Love it!